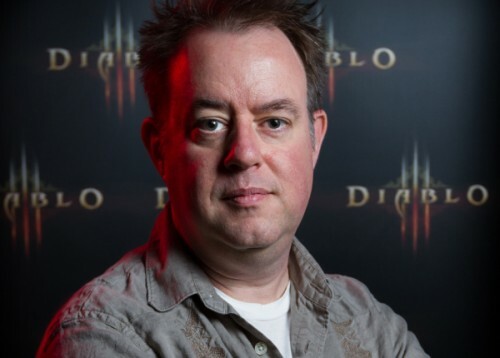 Diablo III has 1 about million players a day, and around 3 million unique players each month, according to a talk at the Game Developer's Conference 2013 today by former game director Jay Wilson. He also stated that both Auction Houses in Diablo III "really hurt the game", and devoted much of his talk to explaining how that happened. Previous to release, Blizzard thought that the Auction Houses would be useful, but not used by a lot of players: the developers expected them to reduce fraud, provide a useful service to players, and only a small percentage of players would use it, with the price of items limiting how many were listed and sold. The reality of the situation was far different, and Blizzard greatly underestimated the amount that the Auction Houses would be used. According to Wilson, nearly all Diablo III players used an Auction House at some point, and over 50 percent used it regularly. That made the in-game gold currency more "valuable" to players than the developers had expected, and "damaged item rewards" within the game. Much of the negative reaction to the Auction Houses was to the Real Money version, but Wilson stated that "gold does much more damage than the other one does," since more players use it and prices tend to shift more. The Auction House in general was "the wrong solution" to the problems Blizzard was trying to solve. "It's not good for a game like Diablo. It doesn't feel good to get items for money, it feels good to get items by killing monsters." Wilson stated that the development team is working on a solution to all this, but didn't give details about it. "It's something the team talks about every week and wants to fix." (This goes along with the long-term Future Patch Plans involving items that the current developers have talked about, such as increasing the quality of Rare drops, but reducing the amount of them dropped.) Wilson also mentioned that Blizzard would "turn off" the Auction House if they thought they could, but they don't want to remove a feature that a lot of players still want, and they have no idea how many players enjoy using it. Even though Jay Wilson has moved on from the Diablo III development team, it is refreshing to hear frank views from him on some of the ways that Diablo III didn't live up to it's potential on release. Hopefully the upcoming patches will help on the items front, even with the Auction House still in the game.